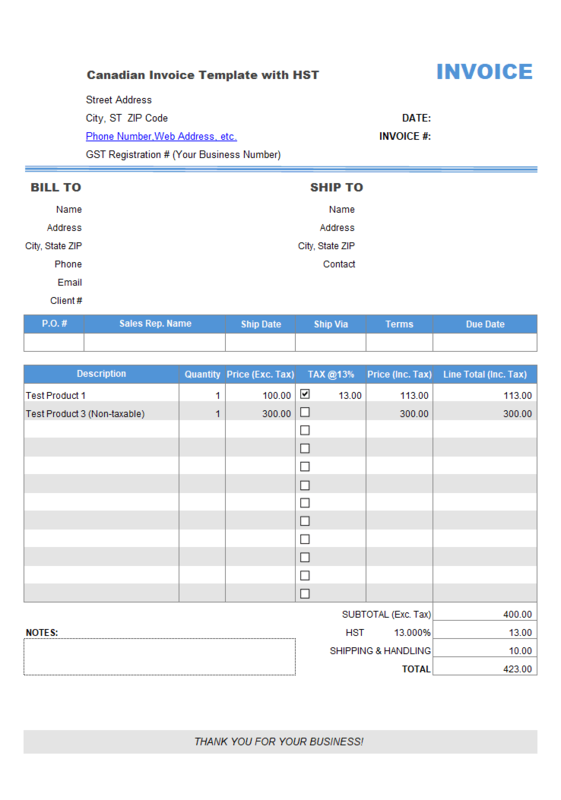 A barcode scanner or barcode reader scans a barcode and feed the text or number into an accounting / billing / inventory program. A barcode is an easy way to identify a good, used widely in super markets, grocery shops and medical stores etc. Here is an easy step-by-step tutorial about installing a barcode scanner: How Do You Install a Barcode Scanner? 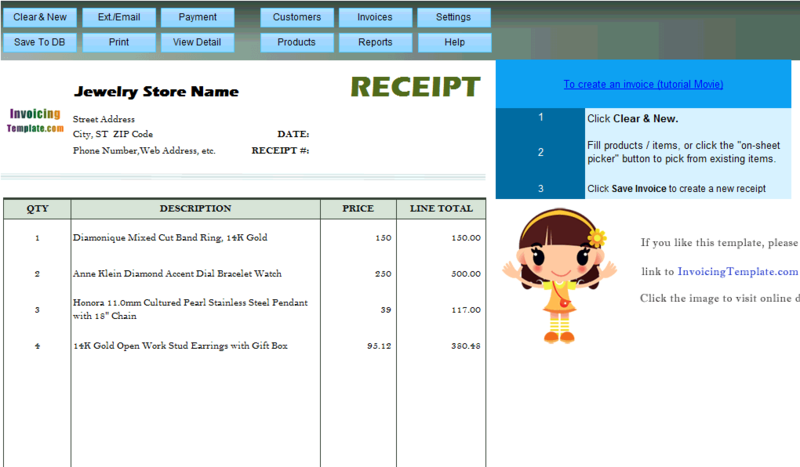 Click to activate one of the Product#/Item# cell where you want to input the barcode. 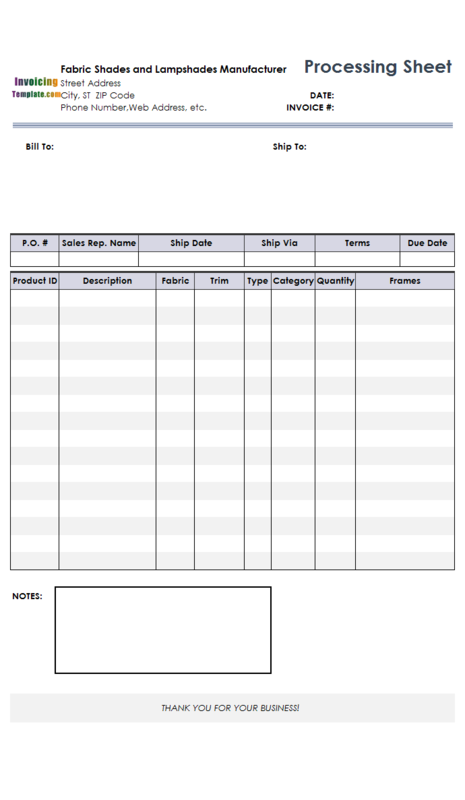 Pull the trigger on the scanner, the text or numbers from the barcode should appear in the active cell. 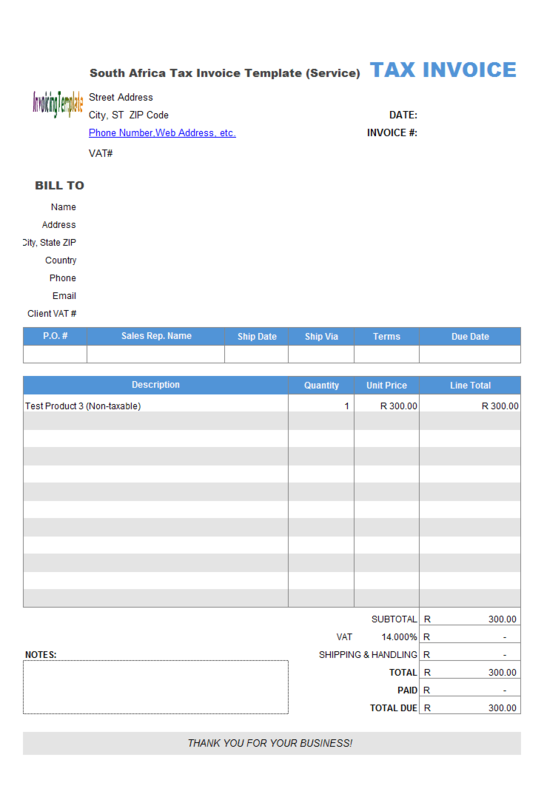 If you have in-cell lookup feature enabled, all related information about the item will be filled into the current bill, including product description, unit price etc. 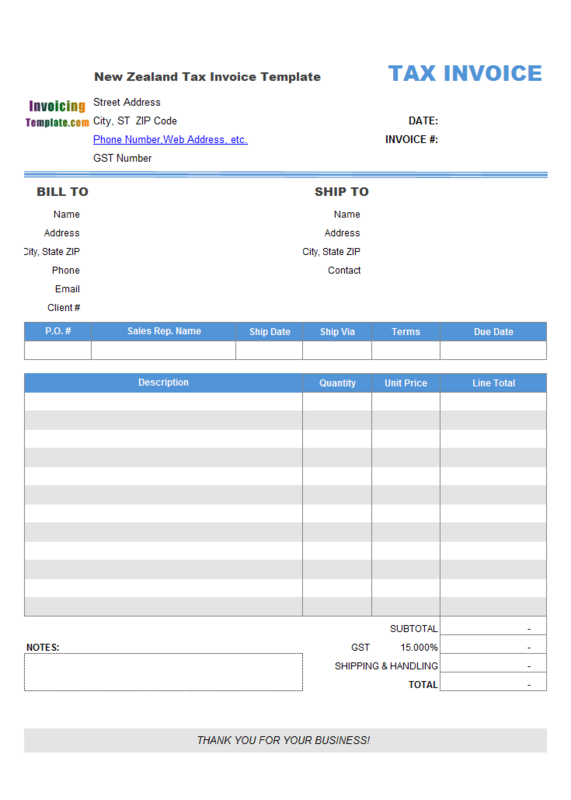 Billing Software With Support For Barcode Scanner is a sub-topic of Billing Software Excel Free Download . 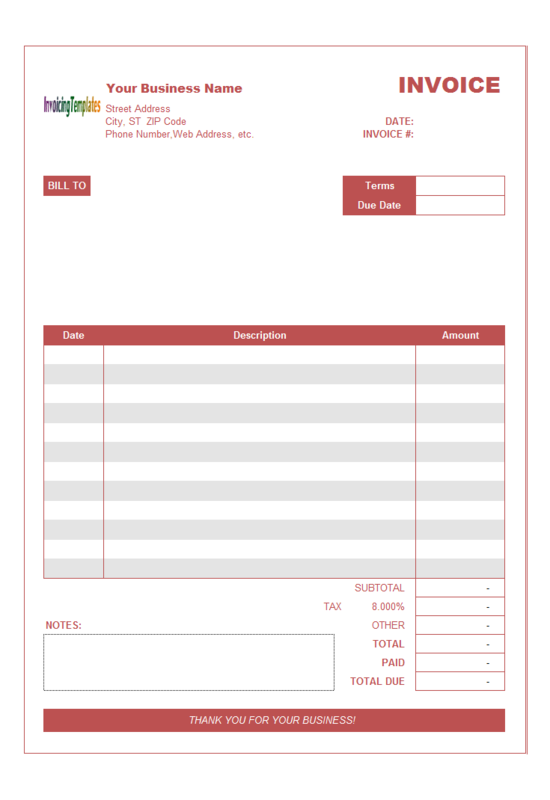 Here are our templates closely related to Billing Software With Support For Barcode Scanner. 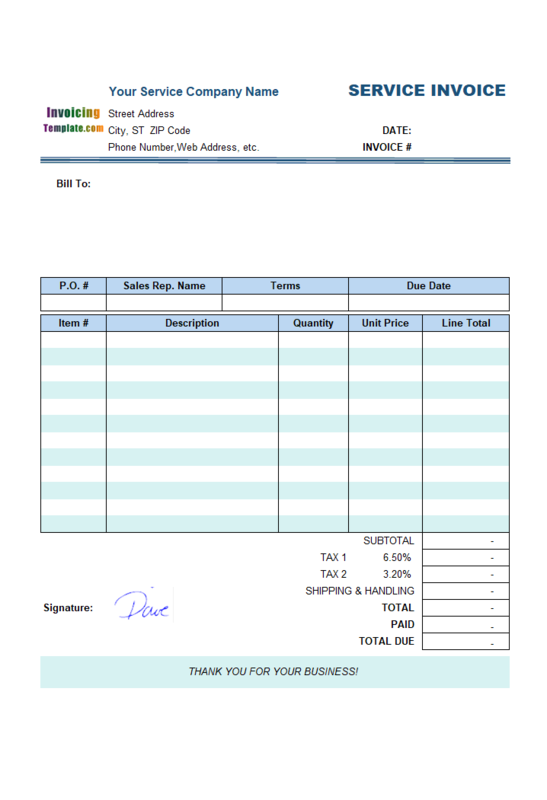 On the bottom of the invoicing form, the section starting with the label "Payment" is designed for hand writing - it will not be included in the invoice that you'll send to your customer. 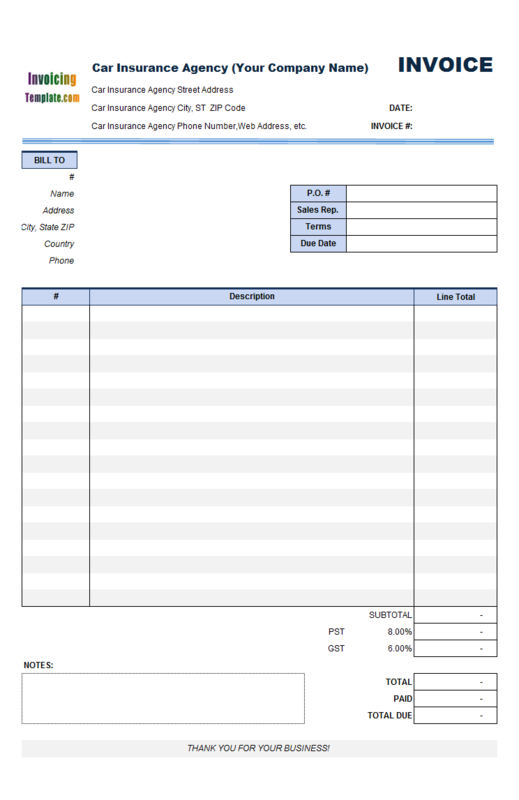 After removing the text and names of the "Type" column, the space of the type column is merged into the Description column, so that the fillable description column could hold more content about the welding or steel fabrication job that have been done. 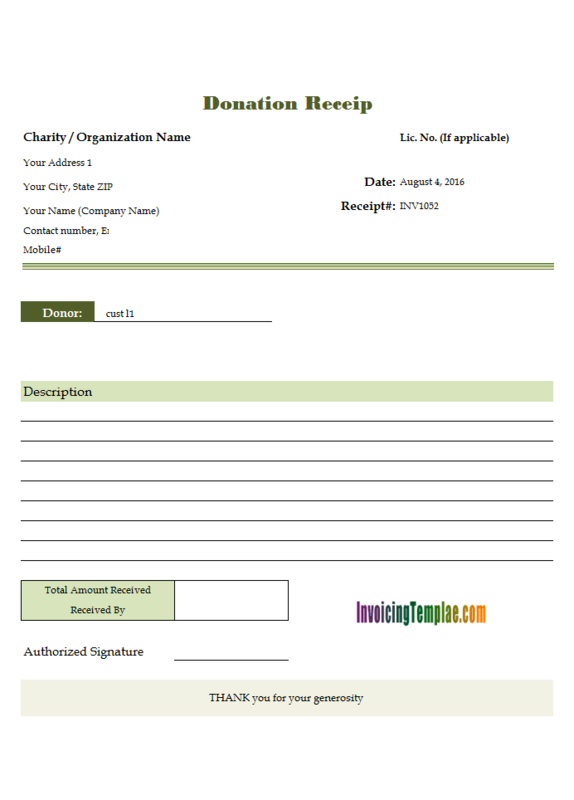 Sample Service Invoice Template: Using Handwriting Signature is a variant of Sample Sales Invoicing Sample: Using Handwriting Signature. 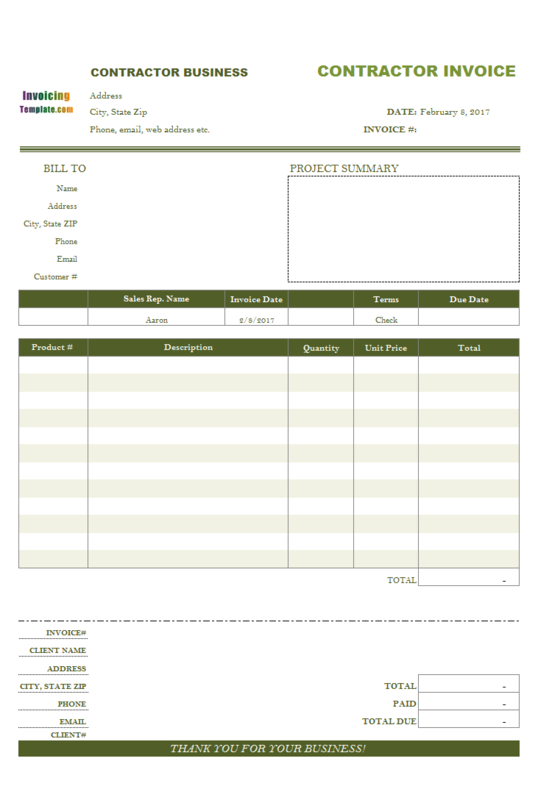 It is the service edition of the original template. 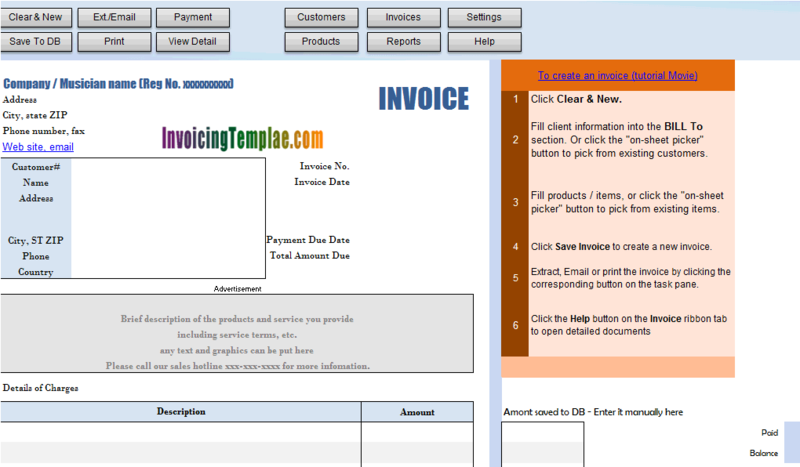 In Windows Explorer, copy the template file "invoicetemplate4pages-uis.xlsx" to create a backup copy of the template. This ensure that you can easily return to a working state whenever something goes wrong during the following customization of the template. Open the template as usual by double-clicking it. 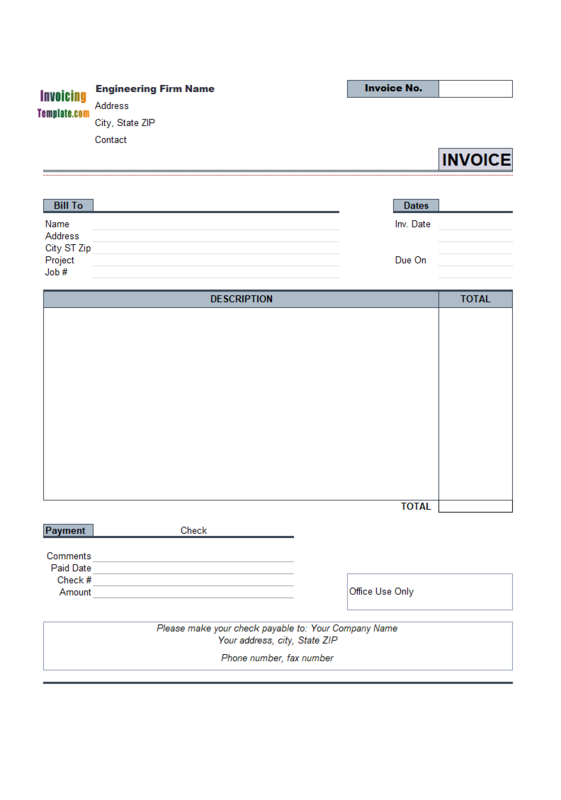 Click the "Design" button on the "Invoice" worksheet. 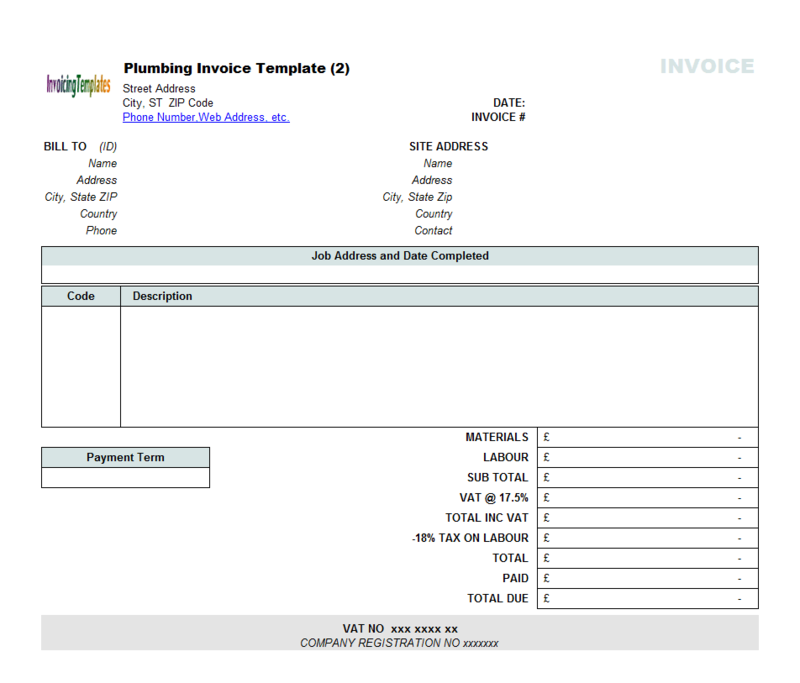 Note that you have to install our Excel invoicing software app in order to have Excel show the "Invoice" ribbon tab. 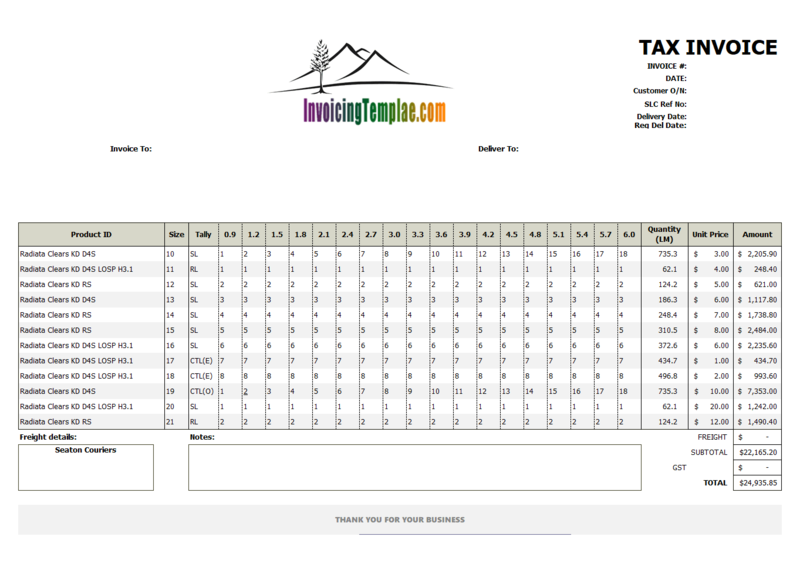 Click to select one "Taxable" checkbox object; or push down CTRL key on your keyboard and then click several "Taxable" controls one by one to select multiple controls. Release keyboard CTRL key. Hit DEL key on keyboard. This deletes the selected objects. 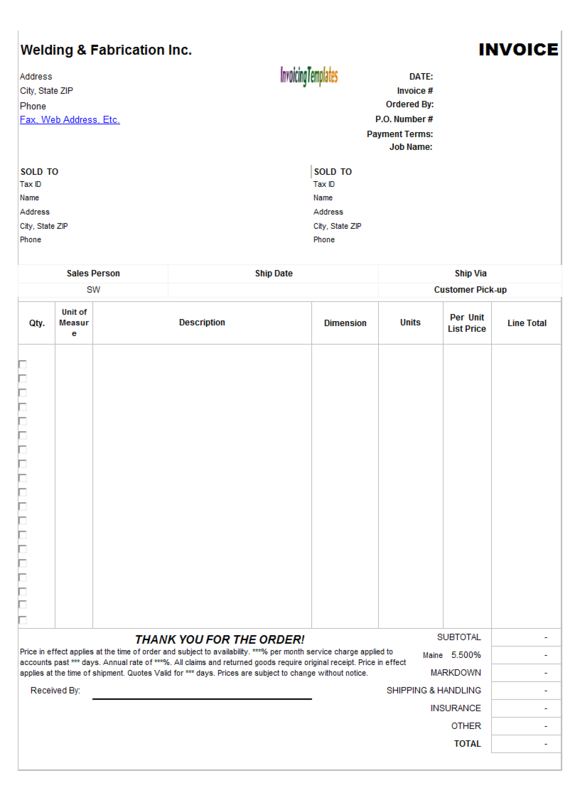 Repeat the above steps to delete all the other Taxable controls. 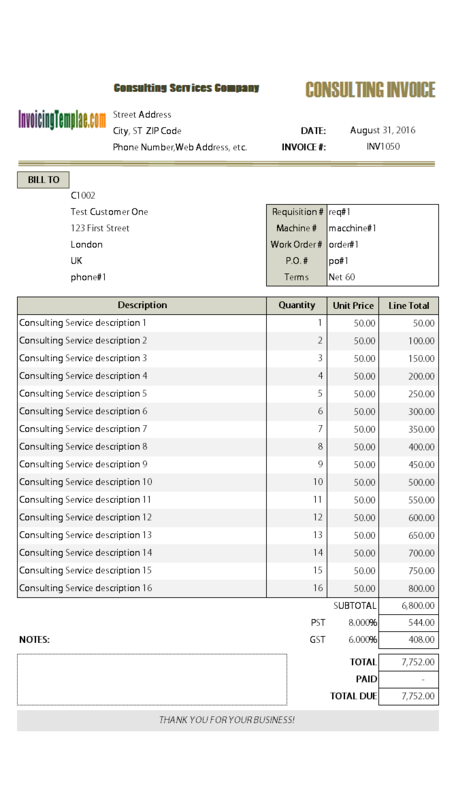 The default formula for calculating tax looks like "=ROUND(IF(oknTaxType=0,0, oknTax1Rate * (oknLineTotalTaxable + IF ( oknTaxTotalIncludingShippingCost=0, 0, oknShippingCost ))), 2)", where "oknLineTotalTaxable" is the name of a hidden cell that calculates the taxable amount using Excel's array formula. 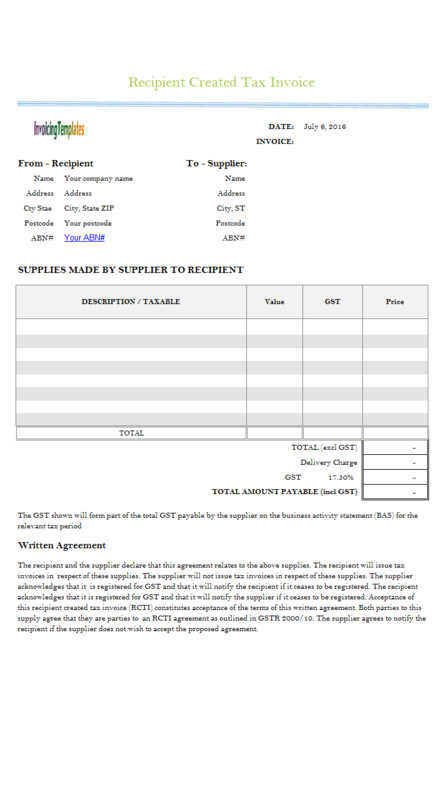 Here since all the items are taxable, you modify it to be "=ROUND(IF(oknTaxType=0,0, oknTax1Rate * (oknSubtotal + IF ( oknTaxTotalIncludingShippingCost=0, 0, oknShippingCost ))), 2)". 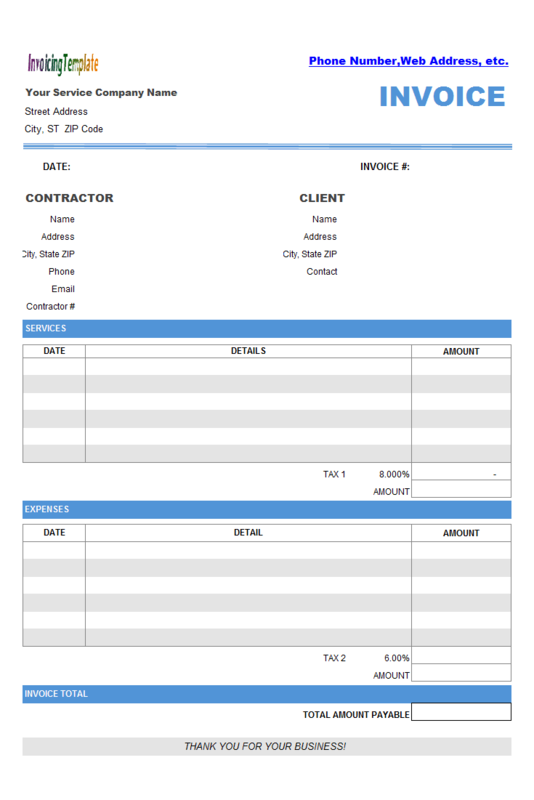 If you want to include the labor expenses (implemented as custom fields on the bottom of the invoices, which calculates labor cost from labor hours and labor hourly rate), then change the formula to "=ROUND(IF(oknTaxType=0,0, oknTax1Rate * (oknSubtotal + oknLaborTotal + IF ( oknTaxTotalIncludingShippingCost=0, 0, oknShippingCost ))), 2)". 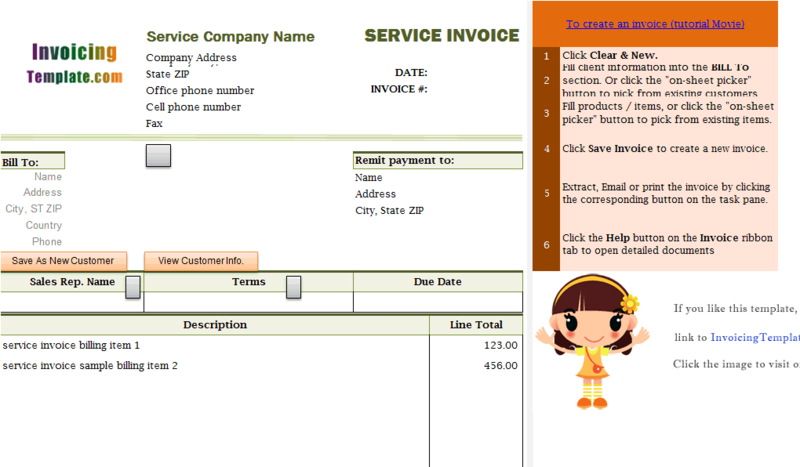 Once done, exit design mode buy clicking the "Design" button again on the "Invoice" ribbon tab. 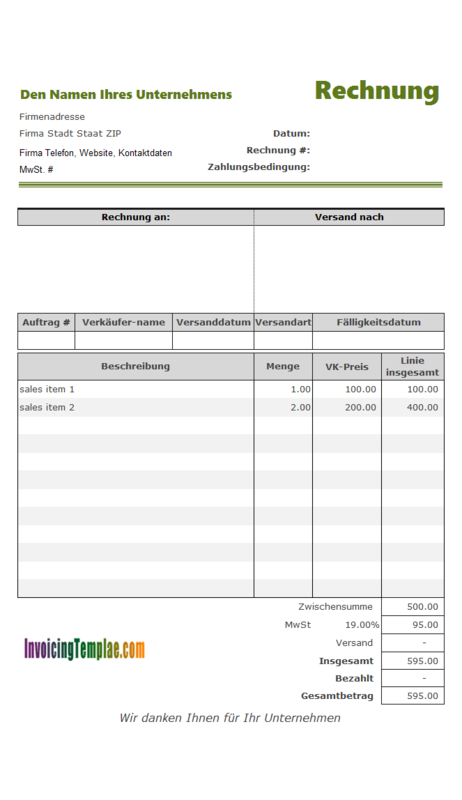 The German tax law is very formal and also the VAT invoice requirements are very strictly. 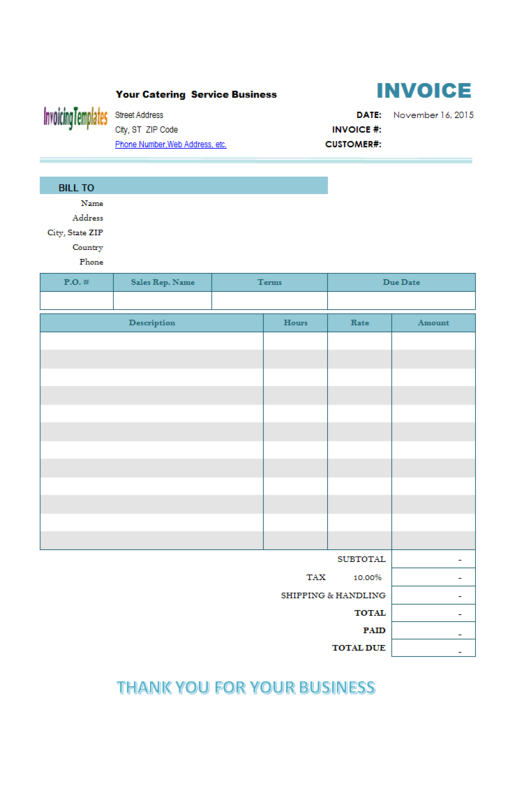 The German rules are conform to the obligations of the EU VAT Directive and its VAT invoice requirements. 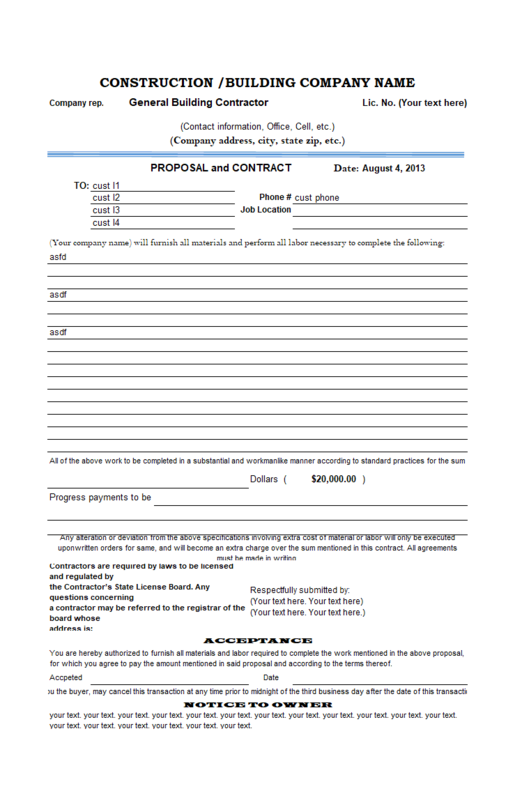 Refer to German VAT invoice requirements and VAT invoicing rules for more information. 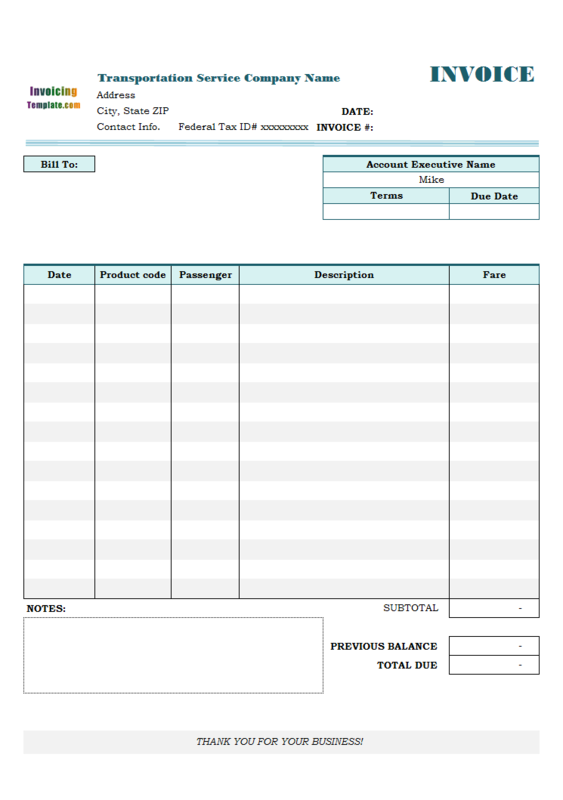 For a service bill format edition of this template, visit c4099 Service Billing Template for Germany. 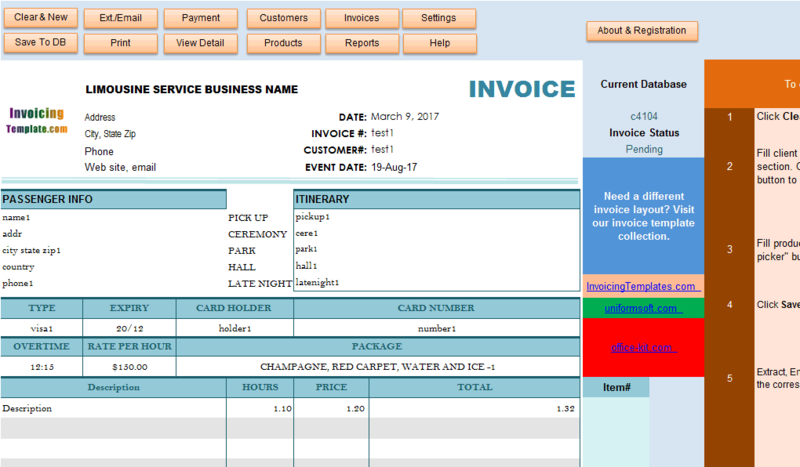 If you are providing limo services you know it is ideal to detail service details on invoice / bill and receipt. 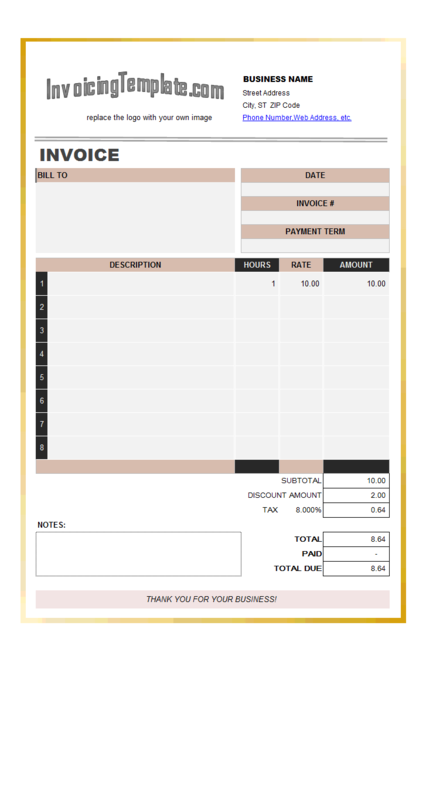 While a general service invoice template could help you create invoices, a professionally designed template specific to your limo service shows that you care for your business, and it even helps collect payment more easily and quickly as the bill itself shows what service you have offered, how the account receivable is calculated, and when the service is rendered. 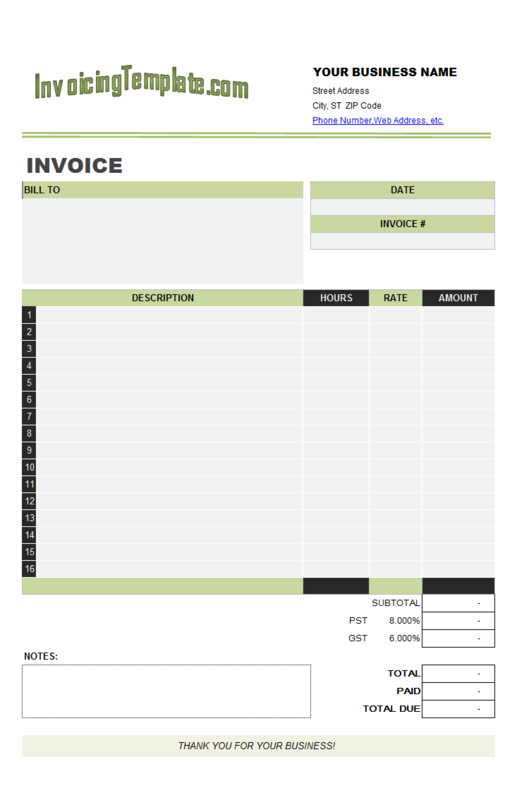 More samples on this topic could be found at Business Invoice Template.